Back in the 1940s and 1950s rabbit meat was as common for dinner as chicken is today. It is the meat that got many people and their children through the lean times of the Depression. They lost their popularity after Big AGRA, who wanted to get maximum profits with the cheapest bottom line using the government endorsed chemicals and handouts. Because of this rabbits didn’t make sense. So why eat rabbit meat today? Below you will find a few reasons why you should consider adding rabbit meat to your diet. Raise some rabbits in your lots, yards, or pastures. Become closer to your food supply, know what you eat! 3. It contains the least amount of fat among all the other available meats. 5. Rabbit meat is almost cholesterol free and therefore heart-patient friendly. 8. The ratio of meat-to-bone is high, meaning there is more edible meat on the carcass than even a chicken. 10. Rabbits are one of the most productive domestic livestock animal there is. Rabbits can produce 6 pounds of meat on the same feed and water as the cow will produce 1 pound of meat on the same feed and water. As you can see there are many health benefits to eating rabbit meat. It is healthy for you and cheap to produce. 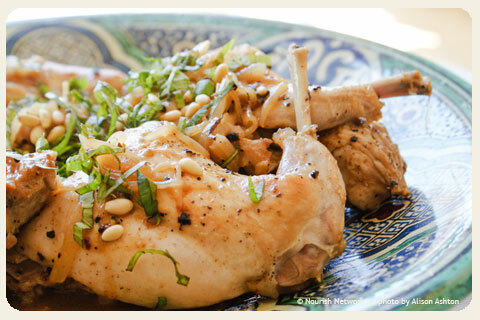 Why not try to incorporate some rabbit meat into your diet today! Try it you’ll like it! Use rabbit as a replacment for chicken in any chicken recipe. Just sent you an email. Three is a highly recommended number to start with, although recently I’ve started to think two bucks and two does Is safer. However, a trio is definitely a good start! Thank you for contacting us!